Basham, Ringe y Correa SC is recommended in Chambers Latin America – Clients Guide 2018 as a leading firm in competition and antitrust, corporate mergers and acquisitions, energy and natural resources, intellectual property, labour and employment, real estate and tax. Basham, Ringe y Correa is proud to be considered one of the largest, leading, international full-service law firms in Latin America. 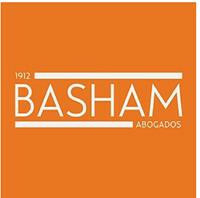 Established in Mexico in 1912, Basham draws on more than 100 years’ experience in assisting its clients to conduct business throughout Mexico. The firm’s clients include financial institutions, individuals, medium-sized companies and prominent international corporations, such as the Coca-Cola Company, Canon, Vokswagen, Disney, Grupo KUO, Colgate, Mattel, Microsoft Corporation, GAP and Sony. Basham’s preventive and strategic consulting in all types of law allows the firm to offer its clients effective, complete and timely solutions to their concerns. The firm’s in-depth knowledge and insight into international and domestic markets – including economic trends and current affairs – give the firm a solid base and perspective to offer fully integrated and tailored solutions to every client. It is because of these qualities and values that its clients have continued to entrust their legal affairs to Basham for many years. The firm’s lawyers actively participate in worldwide associations and international transactions, something which has promoted the exchange of information and experience. This in turn improves the firm’s growing capacity to serve its clients by constantly adjusting to the dynamics of the global business environment. Basham is aware that each client requires objective counselling, experience, professionalism and trustworthy people. The firm’s lawyers are well-known leaders in their respective specialist fields and are committed to providing legal services at the highest standards of quality. The firm actively encourages the participation of all of its lawyers in pro bono work for charitable institutions and non-profit organisations, among others. For this purpose, the firm has created the Basham, Ringe y Correa Foundation. The firm has regulatory and practical expertise in all areas of modern practice and advises clients on investments, joint ventures, domestic and international tax planning, in-bond manufacturing, tax, mergers and acquisitions, trust, insurance, business organisations, international trade, North America Free Trade Agreement and World Trade Organisation matters, anti-dumping duties, intellectual property, administrative law, biddings, privatisations, government regulations, immigration, labour, social security, consumer protection, environmental law, health, energy, telecommunications, transportation, aviation, railroads, maritime law, tourism, litigation, arbitration, criminal law and testamentary, real estate and agrarian matters. Intellectual Property Law Firm of the Year 2018 – Best Lawyers. Spanish, English, French, Portuguese and Chinese.